Servo Motor Repair and Maintenance Service . 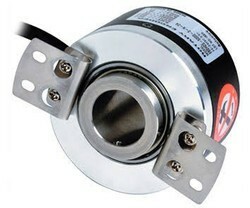 We represent many manufacturers of Servo motor. We are proud to have earned the distinction of being an Indian representative/ Factory Authorized Repair Centre and warranty management. Rebuilt Brakes - custom fabricated brake pads. 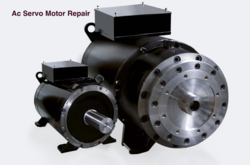 Industrial AC servo motor Repair and Annual Maintenance contact Service . We are one of the leading AC and DC motor ,brushless servo motor and drives Supplier and service provider. Star Automations, specializes in development, manufacturing and sales of high-quality low-cost servo motors and motion control products. Offering Yaskawa servo pack, panasonic servo driver, delta servo drive and Mitsubishi servo Amplifiers and Servo motors. We will do our best to help you find the AC dc motor repair and Servo motor that you are looking for at the most competitive prices possible. ABB, Alstom, Allen bradly ,acrison, amicon, baldor, bbc-veritron, bodine electric, borg warneri, boston gear, browning, burton, carotron, cleaver brooks, bonfiglioli ,contrex, converteam MV3000, converteam alspa gd delta rectifier,control techniques, csr contraves, cutler hammer, danfoss, dart controls, doer, electrol, emerson,Ebara, eurotherm, extech,ELAU, fenner, fincor,Grundfos , gaston county, general electric, graham, kb electronics, klockner-moeller, ktk ltd, leesona, lenze, louis allis, magnetek, meltex, minarik, morse, muller,Motovario , P & H, parametrics, polyspede, powertron, powerflex 7000, punos elektri,Robicon mv drives , randtronics, robicon,Railways converter ,inverter cards,SHIMPO VRSF ,sabina,siemens sinamics G150-c, SIMOTICS,satronics, seco, siemens, southcon, ssd, sterling, electric, stock equipment co, stromag, U. S. Motors, westinghouse, woods, etc. .
We provide repair and supply of Sumtak Encoder. Looking for AC Servo motor service ?